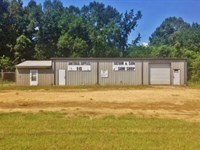 9.59 acre commercial site in McComb MS near Walmart, Edgewood Mall, Banks, Hotels, Restuarants etc. Owner will divide and is open to proposals. Great retail location with all city utilities. 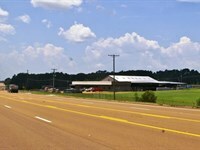 Property is located on Hwy 51 North in McComb at the North McComb exit. This is a rapidly fast growing location. Zoning is C2. Call today for more details and or viewing arrangements. Reduced. When calling broker, please say, "I found your listing Commercial Land McComb, MS Pike Cou on COMMERCIALFLIP."